How does a side project become a profitable full-time company? Joel Gascoigne is the founder of Buffer, which lets you add articles, pictures, and videos to it. And then it shares them for you throughout the day on services like Twitter and Facebook. I want to find out how he got his profitable idea. Why this company reached about a million in sales, when his others failed. And how he found the time to build Buffer, when he had a full-time gig. Andrew: Hey before we get started, I want to tell you about three services that I use. First, do you know who hosts my site? WP Engine. They ensure my site stays up, they make backups in case anything happens to my data, and they help me avoid having my site hacked again. It happened to me last year, but not anywhere but now I’m with wpengine.com. Second, do you know about the wpvalet.com? They’re like my outsource CTO. When I have trouble with a plug-in, they fix it. If I need new code written, they can do it. If my computer breaks, well they can’t do that. But they do run WordPress sites like nobody else. They run them like that smart Techo founder you always wish you had. So go to dudwpvalet.com. Finally, when I needed an agreement written recently, you know I that founders use when they raise money or when they’re selling their businesses. But Walker Corporate Law helps me with any legal issue I have or they refer me to someone who can. So when you start up go to Walker Corporate Law and have them in your corner as you grow your business. All right, let’s get started. Hey there freedom fighters. My name is Andrew Warner. I’m the founder of Mixergy, home of the ambitious upstart and the site where really now we’re so close now to 800 interviews with entrepreneurs who break down the process of how they built their businesses and tell you about the successes and failures along the way, and get prodded and probed by me about their financials and thankfully they’ve all been open about it mostly. And in this interview, I want to find out how a side project can become a profitable full-time company. I invited Joel Gascoigne, the founder of Buffer here to talk about how he did it. Buffer lets you add articles, pictures, videos, and all kinds of links to it and then it doles out those links throughout the day and weeks if you want to on social sites like Twitter, Facebook, et cetera. So for example if in the morning you read your articles and you find a bunch that you want to share with your friends throughout the day or with your networks, you just click the Buffer button. Whenever you find an article that you like you click the Buffer button and Buffer will spread it out throughout the day so that you don’t flood your audience with all these links. So what I invited him to do is to find out how he came up with this profitable idea. I want to hear the story of how he built it up. I want to know why this business succeeded when some of his past efforts failed, and I want to know how he was able to build this up even though he had a full- time gig. So I got a big agenda and Joel thanks for coming here and helping me work through. Joel: Awesome. Thanks for having me on the show, Andrew, and I’ve been a longtime viewer, so I’m really excited to share everything I’ve learned [??]. Andrew: I’m glad that you’re here. And so you know that one of the first questions I’m going to ask you is, what’s your revenue right now? Joel: Yes. So we’re close to $1 million [??] now. So October [??] was $71,000 U. S.
Andrew: October revenue was $71,000? Andrew: OK and previous month? Joel: I think we were $65,000 something like that. So we’re growing [??] right now and I think in January we’re hit the million dollar level sounds like [??] so. Andrew: You know what? Every time I talk to you, the number goes up. I was on Twitter saying hey Joel would you do an interview. You said yes. I said but would you share your numbers and you said yeah absolutely and you gave them to me on Twitter and then we did a pre-interview with you. And I see here in the pre- interview that number rose since my tweet to you to $57,000 in July and now it’s going up over $70,000. Why? Why do you think people are willing to pay for this when they could frankly do this on their own throughout the day? The Internet wants to be free, doesn’t it? Joel: Yeah. I think and so it’s a really good point. And what we have found is that people don’t expect to want to pay for it [??] they discovered the value by using the product. So we made a few changes actually and that was one of our key mailizations [sounds like] was we used to have no pricing and plans. But then we used to expose all the pricing and plans before you signed up and we changed it so you sign up for free and we start conversion. And I think the reason people are willing to pay is that they just get a lot of value out of it. So we save them a lot of time and they can, you know, they can use it for multiple social networks so a lot of people [??] Twitter and Facebook links in and accounts all connected. Then, whenever the [???] comes in throughout the day or whether they do it in the morning as a 30-minute session, it’s just really easy to have a queue of really good content for your friends and followers to post throughout the day. I think it’s just the value that we provide for individuals and for small businesses. Andrew: Later on in the interview, will you break down your sales funnel for me and show me where you get the bulk of your users, how you get them to sign up, how you get them to start paying, and how you get them to keep on paying. Obviously, if they didn’t keep on paying, then the revenues wouldn’t grow like this month to month. You’ll do that with me? Joel: Yeah. Absolutely. I guess you will have come across the [cohort] analysis that [??] talking about. This is where in the first month the people sign up and a certain percentage of them will convert to the paid plan. Over several months, after six months, that same group of people who have now been with us for six months, a much higher percentage of them convert. We also have this kind of effect where we have the new users all the time. Then we have the existing, older users also upgrading over time. It has this compounding effect. Andrew: I’ve got a note to come back and ask you about that. You’re breaking people down based on when they came and watching how they interact with the site based on when and maybe even where they came. We’ll get back to that. First I want to find out, where did the idea come from? Joel: I had a previous start-up. I worked on that for a year and a half. Ultimately, it wasn’t too successful, but I learned along the way. Whilst I was doing that start-up, I was using Twitter a lot. I was sharing all the things I was trying out, things that were working and things that weren’t working, and checked on progress along the way. I was also reading a lot of blog posts from other entrepreneurs, trying to learn as much as I could. I was watching Mixergy. Every time I came across this great content, I would then share it. I discovered that when I started sharing these blog posts and these quotes from people, they did really well on Twitter. People would retweet them. They would mention me. I would have a conversation with them about it. As soon as I discovered that, I wanted to do it even more. That was when I ran into the problem where I wanted to post this kind of content on a regular basis. I would do my reading and would come across five, six, seven things all in a row that I wanted to share. I realized it’s not going to be great for my followers or for me if I post all that in one go. I looked around at different products I could use to solve this. I realized that what I needed to do was schedule it, spread it out throughout the day over multiple days. I looked around, and the only way I could do it was HootSuite and TweetDeck. You have to choose the dates and the time every time you wanted it. You would type a tweet, and then you would choose what day, what time you want to post this. It was very cumbersome. I did it manually for a while. I had to [??]. I had a notepad and would write down, I want to tweet four times today, four times tomorrow. I would mark the schedules and things for that time. Andrew: I’ve seen people who would do that, or who used to do that. They would sit down like you said and they would schedule everything. Joel: Yeah. I realized it was very difficult to keep track. I was like, how many have I scheduled for this day and for tomorrow. That’s when I had the idea. That’s all it started as, to solve that problem for myself. I quickly hacked it together. I basically got it working just for myself. Not even a date space with no [??] space at all. Joel: It took me a few days, I think. Andrew: Let me pause it right here and ask you, if you meant it to be a business from the start, from the point where you said, this is a need that I have, I need to build something. You thought it would be a business, right? Joel: Yeah. I did. Because I had the experience with the previous start-up, I wanted this to be something that could work, but I didn’t have huge aspirations for it. All I wanted to do was build something that people would use and that people would pay for. I wanted to make a little bit of money with it, but I didn’t know how far I would go with it. Andrew: I have to spend some time talking about ideation with you. This is an important part of your process. What I’m wondering as I hear you describe this issue is, how did you know that other people would have the same problem, that enough other people would have the same problem, for this to be a viable product? Andrew: Let’s bring in that previous start up. You’ve got multiple start ups that you’ve launched in your career. I’ve seen them here on LinkedIn. I’m assuming the one that you’re talking about is One Page, right? Joel: Yeah, that’s right, yeah. Andrew: One Page was a site where I could create my own page, on your site and provide anyone that comes to that page with links to my Twitter account, to my LinkedIn page, etc. So it would be one place for them to see all my accounts online. You learned a lot from it. You changed the way that you started your future company, your current company, I should say, Buffer. What happened there, that you brought with you? Joel: I think the biggest lesson I learned from doing One Page, was that I needed to talk to people, I needed to, go through this custom development phase. Of actually validating whether people wanted what I was building. Andrew: Why, what happened at One Page, you didn’t talk to anyone about it? Joel: Not really. So, over the course of a year and a half that I worked on it. We had, I think we had, overall we had 8,000 sign ups. We had 8,000 email addresses. We didn’t want, like really, you can just email these people and say, Are we solving a real problem for you? So a lot of the new features are just based on what we thought would be good. So we never, yeah, so we never went through that process. Andrew: OK, and if you could do it all over again, what would you do? Is it enough to just email people who had accounts on One Page and said, hey, what problems are you having? Joel: I think it would be about, yeah, I think that is a good question. What are the problems we are having. I think that’s the key one, I see. The best possible thing is if you can meet in person. Or get them a video Skype call because I think it’s really good to see reactions to the questions you ask them and facial expressions and everything. I think, you know, what problems do you have. Is it a really good question to ask because, then you’re kind of avoiding talking about your solution you’ve already got. I think that’s what I like. That’s where you can easily go wrong. You ask them, you say, Would you use this, would you use X? [??] Generally people want to be nice, and they say, that sounds useful, I would use that. You miss out on a lot of great information you could get. You instead, just talk about problems that they have. Andrew: How much money did you blow on one page? Joel: It’s more the time, I think. Joel: A year and a half. Andrew: It feels like to me, that you took a great deal of pain away from this, that made you say, never again, What was that? If it’s just a matter of time, you’ve got plenty of time. Why did that hurt so much? Joel: I think, there are two key things. One was that, I was working part time the whole time. I was working the whole time basically. Sometimes it was part time, sometimes it was full time. Sometimes, I built up some funds and then work full time on one page. But, basically I had this hang over me, this having to work, in order to get buy. It was a struggle because I had other friends that decided what they would do is build. So I was building websites with people, on web applications and that’s how I was making money. In order to get buy. It was a struggle because, I decided I wanted to build a [??]. I decided that that was my goal. So, every time I did work for other people, I would do it in a way that I wouldn’t build a big client base. I would work through people. I would work for people who had plans. So, I felt like, if I decided that I wanted to build a web agency and build up [??] for other people. I could do that well. But ,I decided that I didn’t want to do that. So, that was one thing. The other was that, I had been tweeting a lot and just trying to be in touch with lots people in the community, online and locally and the UK. There were two different cities in the UK, Sheffield and Birmingham. I kind of built, somewhat of a reputation. I’ve done some meet ups for starter founders. I talked a lot about where you started things. The facts were that, I really not had any success. I’ve not made any money, I’ve not raised any money, I’ve not done any great fraction[??] either. But I was doing these meet ups and people were seeing me as kind of an authority. So, that was the second thing that I really felt, I felt like a fraud. That was one thing. I really wanted to fix that. So that was a big thing. Joel: I see. So, what you did then, with Buffer is something I’ve been hearing a lot about in my interviews. Andrew: Something that I’ve been hearing a lot about in my interviews, you found the pain. But in this case you found your own pain. What I’m trying to understand as an interviewer is, if you’re finding your own pain how do you make sure that you’re not creating the problem that you had with one pain which is you’re assuming and imagining what problems other people have, and then building to that or in this case assuming that everyone has your problem. How did you do that? How did you go from solving your pain to creating a product that you knew other people could use or needed? Joel: Yeah I think you have to take a moment and stop and think, now how can I go about validating that other people also have this problem? Andrew: So how did you do it? Joel: So the way I did it was, the first thing to say is I’m a developer so my natural instinct was to jump in and start coding, so, and like I said I built a very, very bad version with (?) database and user interface. And that was kind of a mistake in a way because, but it was a natural instinct. So I think a lot of people struggle with that, it’s like let’s actually stop and tell us. And that’s the key thing is that you don’t need to build a product in order to validate that people want it..
Andrew: Oh I see. You’re saying even building the stripped down version, it was a mistake. You should have done what instead? Joel: So after I kind of realized I was going down a similar path by building a version and that’s when I kind of stopped myself and I thought about it. And I’ve read a lot of what I would resubmit, I would restart (?) presentations you’ve done. And so I thought you know, how can I validate this without going any further and with kind of coding. So what I did was I put together a really simple two page website and literally two pages. So the first page was like a product landing page. So it had a headline along the top, it had three bullet point describing what Buffer would do, or actually describing what Buffer did, because I was fully. Andrew: You were imagining it existed. You were writing as if after people clicked on the button on that page they would get what was in those bullet points. Andrew: Do you remember what those three bullet points were? Joel: I have a blog post with it in and I can, shall I get it? Joel: If you just search seven weeks paying customers. Joel: That should get it. Yeah, so I had the headline, I had the three bullet points and then, the three bullet points were on the left hand side. On the right hand side I had a pricing and funds button. And yeah, what you mentioned is like a really important point is the page it looked like a product already existed. And I think this is where I gained a lot by doing brain (?) exercises because you can get so much validation if the only way that people can give you their e-mail is by clicking that box on trying to sign up. So I see a lot of people that have like these coming soon pages, and they put them up there and it like why up front it tells people that the product’s not ready yet. And the problem I see with that is, and some people just like that e-mail in their box and (?). And so I think you can, you lose out on a lot of validation if you do it that way..
Andrew: I see it right here on the screen, on my screen. It says, Tweet more consistently with Buffer. And you already have the logo established at that point. And the three bullet points are, choose the times to Tweet, add Tweets to your Buffer and Buffer does the rest, relax. And the reason I wanted to know it is that I understand what, at its essence, what did you think the product would be? And now i see it. It’s those two things, choose a time to want to Tweet and then add Tweets and we’ll take care of it for you. How did you know those were the two, you’re calling it three points but the third point is just don’t do anything, we’ll take care of it. How did you know those two points were the essence of this product? Joel: I didn’t really and that’s why I put together a landing page. It was a very, very quick way for me to figure out is, are these two things important to people? And so, that page, that two page website, so I think you can see the next page as well on that website. Andrew: The next page says, hello, you’ve caught us before we were ready. While we’re working hard to put the finishing touches onto Buffer, things are going well, etcetera, and then you say, give me an e-mail address and we’ll remind you. So that’s the answer to the question that I had about how if you’re finding your own pain and using that pain as an idea to create a new business the first thing you want to do is not create the solution but find a way to ask other people if they have it and, in fact, make it look as if your product already exists and see if people want it. So now, I see you have this two page process and anyone can essentially create this thing if they know any web software pretty much, they could do it. How do you get people to come to the site to actually see if they’re going to click plans and price and try to sign up? Joel: Yah, so I got a little bit lucky even with the kind of driving traffic to it because other [?] Tweeting the whole time with the previous start-up. So at that point when I had the two page website, I had about 1,700 followers on Twitter and also it just so happened that I had the target audience for the product audience was Twitter users. So I think, yeah, I thought about this and I’ve been asked how did I drive traffic to it. And so, I think, what I realized was you’ve got to really think about where the people hang out that would be potential users of your product and I think, like, forums or Facebook groups especially that sometimes those are really good places and for some things like PPC, so, like, I would [?] work well. So, yeah, in my case…. Andrew: Posted it on Twitter and Twitter is where your natural audience would be. Why did the button say plans and pricing instead of get started or free access or join now? Joel: So we’ve changed that since then. That’s one of the things we learned along the way. But back then, I was so determined that I would make some money from this that I decided this is going to be paid. I’m going to tell people it’s paid so I can start. It’s going to have an option to pay from day one and so, that was kind of my thinking on that. Andrew: OK, and I got to tell you 1,700 followers on Twitter is nothing. And so, if for that small audience you got a big response, that’s impressive. What was the response level? How many people clicked, how many people expressed an interest? Joel: I think, so, it wasn’t that, the volume wasn’t huge and I think that’s the other important thing to kind of talk about. So, I was tweeting lots of stuff regularly so I just tweeted a few times and I think, I know in the seven weeks. It was a total of seven weeks [? [ idea and I did this test with the landing page in the first week and then there was seven weeks in total before I launched the really minimal version of the actual products and in that time I collected 120 emails. So it’s not huge. And in that first week I think there was 20 maybe 30 but the thing was that…and I see it as, what I realized now is there’s two phases of marketing, of driving traffic to your product and the first phase is like when you’re in this, to try and figure out is this what people want so like, pre[?] the market fit stage and then the other stage is once you’ve validated, you’ve seen the funnel, it’s all working well. Then you’re doing much more marketing. The whole goal is just to drive traffic through that funnel…. Andrew: Once you get the funnel built properly where it’s converting well, then you want to get more people in the funnel and until then you just want to shape the funnel. Joel: Yes, you are in that early stage. You don’t need a high volume. You just need to be really to interacting with them a lot. So what I was did was, every time I had an email address I would send them a big personal email. So I told them a bit more about what [?] would do. A bit more than what they could see on the landing page. And then I remember I had one paragraph that was like really emphasizing how much I needed their help to shape this, how much I needed there feedback in order to shape this [?] and it would be really useful to [?] people [?]. I got a lot of feedback that way. Andrew: What did you learn that way that you wouldn’t have known otherwise? Joel: I learned that lots of people didn’t understand,, even from the landing page, what they would do. So I think, like now, know what [?] does and you look back and it kind of makes sense. But lots of people just didn’t know and realize the headline was pretty bad and those kind of things. And I think the key one was that I learned that lots of people said that they wouldn’t use it, that it wouldn’t be useful to them but I had just enough people that I had tons of conversation with , they told me, if this existed, I would use it. Andrew: I see. You learned that the idea was validated. Enough people were telling you that they were interested in it for you to think it’s time to build this product, but you also understood that it was a little confusing and you needed to find ways to make it easier for people to understand it. I can see how that’s useful. To me, looking at that page, I feel like it’s the essence of simplicity. You’ve gotten rid of all the distractions on that page. I understand completely what it means, but maybe I wouldn’t have if I never used Buffer before. I’m a regular user of Buffer. Maybe I wouldn’t have if this was back before I understood the problem as clearly as you did. The next thing you did, you told April, was you wanted to test payment. You tested it by having a button that said, plans and pricing. You wanted to see how many people clicked it. Then you tested it even further. How? Joel: The next test that I did was two days after the previous one. The first one was just the two-page website. The next test was, I put another page in between the two so that when you put plans and pricing, you would actually go to a pricing page. There were three options, free [I think at that point], $5 and $20 a month. Then there would be the third page after that. You’d have to pick a pricing plan, and then you would have the chance to put your email in. It was like an extra step for validation and the pricing aspect as well. Andrew: That makes sense. You used Mixpanel to see what people clicked on most and to count the responses. It’s not a scientific experiment, though. I know if I were to use any AB testing software on that and send about as much traffic as you at the time, it would tell me, wait, I don’t have enough information to give you a response. Considering that it’s not scientific, considering that you weren’t getting that much traffic, how valuable was that information? What did you learn? Joel: The key thing I learned by having Mixpanel installed and using that in both of these two tests was that the thing in the early days, the quantitative analytics like the metrics that are actual numbers, are not very useful at all. That’s the key thing I learned. I could see [??] happening, but it’s not very useful. The key thing that was useful was actually having these conversations with people. Andrew: I see. So putting this page up in order to get stats is not the best idea. Don’t even worry about it. If you were going to do it again, you wouldn’t. But using these pages as conversation starters to hear people complain about the pricing, or tell you it’s too low, or encourage you because it’s just right, that’s what you wanted. Andrew: Did you follow up with emails again? Joel: Yeah. I followed up with emails again. The people who didn’t get it or didn’t want it, I didn’t follow up too much with those people. The people who expressed an interest in using Buffer and said that they would use it if it existed, I tried [??] bringing the conversation onto pricing with those people. Quite a few people told me that $5 was too much on one bill. People wanted $3 a month, something like that. I did talk with one or two people who said if this existed and it did what you say it will do, then I would pay $5 a month. Andrew: So you said all right, $5 is probably where I need to start, not $20. Joel: Yeah. I left the $20 there. It was the $5 that I thought, maybe. The $20, I thought, that’s kind of crazy. The $5, I thought, there had been people I had actual conversations with who said that they would pay that. So that was [??]. You make a really good point about company information. I think you can never know for sure by doing [??] like this. I think it can help you a lot, and you can get strong signals right away whether people are interested in the product. I didn’t want to make a decision and say [??]. I had plenty of people saying that they wouldn’t use [??]. People were screaming at me and saying, no one’s ever going to pay for this. Don’t do it. You’re wasting your time. You have to decide. You start to make a decision saying, OK, I’m going to go ahead and keep moving forward. Andrew: Here’s what I’m learning about that when you get people who say yes, I’d be willing to pay. I think it was Ramit Sethi who said, find the commonalities. What is it? Are those people who have companies? Is that what they have in common? Are those people working at companies where they need this? Is that what you did? Did you start to notice patterns? Joel: Yeah, I did notice patterns. I found there are a lot of people who tweeted a lot personally, but also had a side project or business which they had a Twitter account for. The earliest paying customer had a Twitter account that was all focused around wine. Different types of wine. For that, it was an actual organization, a business he had, so he wanted to be quite systematic about how he was approaching his Twitter. Andrew: I see. The idea, then, is if you start to see that the people who have side businesses are all using this, then you say, “All right, those loud people have no companies. They’re not my market; it’s okay if they’re loud and upset that I’m charging five bucks a month. But a small group of people does have money, they do like it, they all have something in common. I know where to find them because they’re all businesspeople on Twitter, and I know they have an interest in paying because it’s growing their businesses.” And that’s where we find reassurance at this stage. Andrew: What’s Start-Up Sprint [SP], and how did it influence your launch? Joel: There was something going on on Hacker News. It was called the November Startup Sprint. Basically, it was just a Hacker News post someone put up there, just before November. And he said, ‘Hi guys, how about if a bunch of us all try and finish the projects and launch them all within November?’ And I’d been going a few weeks before the start of November. So I thought, OK, I’ve got to join in this and definitely, at the least, try and launch it. I originally thought I would launch it well within, like in the middle of November. It ended up being a nice way of meter. Make sure I launch by the end of November. Actually it was the last day of November. Andrew: It was. So it’s not just for the Startup Sprint, the challenge that was put up on Hacker News for people to launch by the end of November. You wouldn’t have launched, because you had more features in mind that you wanted to launch with. Which features did you have to cut out? Joel: The two key ones were — for the paid plan, there’s something called the IPN, which is a PayPal feature. It’s Instant Payment Notification. And basically it’s all about providing a smooth experience for someone that pays for these products. So all the IPN does is, as soon as someone pays on PayPal, it will ping the server and tell you that they’ve paid, so then you can automatically upgrade them in the database and do these kinds of things. I knew that that would take me at least a day, maybe two days of work. I was only working in the evenings and the weekends at this point, so that was a lot of time. So, that was one I decided to leave out. So basically, how it would work is, if someone happened to pay, I would get an email from PayPal. And then I would have to scramble to the database and upgrade them manually myself, and then send them an email myself. That was one, and the other one was URL shortening with Bitly. To be able to use your own Bitly details so you could have the click data, and you could see all that yourself in Bitly. I kind of started on that; I had the box to put in the API key for Bitly, but that was as far as I got — I just left it with the box. So, that was something I did later. Andrew: How did you know those features would be OK to put off ’til later, and others were important to launch before the end of November? Joel: It wasn’t about being lazy and cutting things out. Basically, I figured, these were paid features. And I still didn’t have validation; I didn’t have anyone paying. So I decided that, instead of [??] a really great experience for people that paid, and making it really smooth at that point, I decided instead that I would focus my time on trying to get people to use the product and pay in the first place, and then I work on improving that. Joel: So I didn’t have that much time, and I could spend that time building the great product that people would end up using and then eventually paying for. Andrew: Tell me something about the conversations you had with potential customers before you launched. I would think that you would be embarrassed to reach out to people who gave you their email addresses because they thought that they were getting an account in this program that worked, but I think most people would say, ‘I’d better just use this as pressure to launch, but if I contact them as the guy that someday, one day will launch I’m going to put too much pressure on myself to launch. If I contact them and say, “I didn’t launch,” they’re going to think that this guy is a fool who tricked us. Did you have to get past any of those feelings? I see some recognition in your face. Please describe what they felt like to you before you tell me how you got over it, because I don’t want to put words in your mouth. What did it feel like to you? What were some of those insecurities that you had contacting them? Joel: Well yeah. Absolutely, I worked on something else for a year and then I kind of ditched it and people were like, “Well, what’s going on there.” Because I was tweeting with these people and sharing my progress, and I kind of moved on to something else. So, I felt like people were doubting me. And, I felt . . There were lots of other side projects that I’ve done, that I started and abandoned, so I felt like I have to make this work this time. And . . .
Andrew: I see. So, you started to think of all those times you failed in the past and your voice, your internal voice is echoing that. “Hey, Joel, you failed before to launch. Now you’re going to embarrass yourself with all these people on Twitter. Hey, Joel, you went to all those events as the guy who tweets all this start up advice and you didn’t even have a successful startup. Now you’re going to have a failure that 100 plus people are going to see, and a thousand plus people on Twitter. OK.” So, why did you get past that? How did you get past that? Joel: So, I think one thing to note, as well, is that I remember when I first had conversations with people and I mentioned it took seven weeks and I’m really bad at estimating how long it will take me to build [??] the initial email is 100 people, and I was like, “I’ll get back to you in a week,” and it ended up taking seven. But, I think the key thing I realized is that the kind of people that sign up for something early, that go through this, and they go through these learning phases, and then at the end they realize that this isn’t even ready yet. And the people that decide at that point that they’re going to put their email in this box, those are the kind of people that really love to be part of shaping something. I realized that when I spoke to them and talked about what I was trying to do and learned from them, and just stayed open about everything, then they would really feel great. They would feel like part of the journey, they’re part of actually shaping of those. A few people I know I asked for design advice and I actually incorporated some of the things that came up, and to be able to do that, I think can be really powerful, for having great loyal users. Andrew: You asked them for design advice. They gave it. Joel: So, I think the key thing is that it’s a different type of people that you get at that stage. Joel: You know, they don’t just tolerate something not being ready. They actually love to be part of that, I think. Andrew: One of the things I try to do in these interviews is talk a lot about that first launch, the ugly version, the no version, in your case, so that we all feel a little bit better about launching something ugly and improving it later. As someone who was recently on that side of it, we’re talking about this company is about a year old, did it help you to hear other people say, “Oh yeah, I didn’t even have a product. I just had a bunch of bullet points.” I think the founder of Web said that about his product. Did you feel comforted by that, or does that not play a factor, play a role for you? Joel: Yeah, I definitely felt comforted by that. I was meeting a lot of, as I mentioned I [??] I was. That stuff just really clicked, so I was trying to watch everything, every presentation that he did. I also came across people like Ash Moya[sp] and Kevin Dewalt, and some of these other guys there were, they also seen [??] stop, and they were kind of putting it into practice as well. So, it’s like the theoretical side and the practice as well. Just seeing all of this going on, and people talking about and saying business is the right way to do it. [??] it as early as you can, launch with nothing, and these kinds of things were definitely very comforting. I felt like I could really be a part of that. So, after reading all of that, I was like, OK, I want to be super disciplined with this launch theme, at least try these methods. Andrew: OK. Before we get to the first paying customer, and I know you remember him, I want to hear about what happened when that came through, I have to ask about all the feedback that you get. One of the challenges with asking people for feedback, with being so open and saying, “Just hit reply. This is my real email. I need your feedback. I need your help,” is that people will actually respond and they will give you detailed feedback and they will demand certain things or ask for certain things with such eagerness and helpfulness that now you’re overwhelmed with a to-do list that you don’t know where to get started and you feel obligated to do it all because they’re such nice people. How do you know what to build? Joel: That’s a really good question. I think what we tried to do was build things. Well, yeah, it’s definitely a challenge to keep it simple and then also take into account everything that people want. And I think there are some [??] that are really good way of going about this and this is something that we use. So basically, whenever you get people requesting different things, we never write anything down. So, we don’t keep a list of each request or anything like that. And basically, we just let them come in and then, we look at them. We really appreciate them. We’ll, you know, have a good conversation with them. But no, we don’t write them down. We don’t make a list of them. And so, [??] and, well, when it was just me, then I would, like, there would be certain things on top of my mind that have come up so many times, I just don’t get them out of my head. And those are good things to think about when you’re building. And so now, it’s a similar kind of thing. We have, like, a whole team saying, well, this came up, this came up, this came up. And then, eventually, like, there are certain things that are just coming up, like, multiple times a day. And then we’re, like, you know, it’s probably time to proceed. Andrew: You’re saying, at least at first, don’t bother writing it down. Just take it all in. You’re going to start to see some patterns, if you allow yourself to have enough conversations. But if you make a big list, it’ll be this big, overhanging obligation. Andrew: I should say, though, Joel, well first of all, you said yes. I didn’t mean to interrupt that. I should say, though, when I’m on Bufferap.com right now, I see a little tab on the bottom right where people could suggest features where they do get to vote, where you do have a running list. Andrew: And I do watch you guys respond to those features and actually, I think the top item on the list has been done. And you seem to not exactly work through it. Andrew: Methodically. Thank you. So, you did change it. At what point did you change to that, or at what point did you decide to add it? Joel: Then, we had that quite early. I kind of [??]. I mean, it’s kind of nice for people to be able to submit things and it’s useful for other people to vote on them. But we don’t really go through that and do everything one by one. We definitely … That’s not how we do it. But yeah, I think, I mean, it’s nice to have this community development as well, so. It’s also easy. Andrew: So, again, it’s not a to do list. It’s just another way for you to hear people and if you see. By the way, is Buffer working with Google Plus? Joel: And, so, like things like this are really good. And so, well, like Google Plus is by the top of the list. The thing is, Google hasn’t launched the Google Plus API yet, so it’s still not available. But literally, as soon as it hits, we’ll be very fast. We’ve actually implemented the log-in part so that we can be very fast when they do that. Joel: But we’re just waiting on that. But it’s useful, you know, if we can get in touch with anyone on Google Plus, then, to show them, like, how many people, you know, are desperate for that feature. And it’s useful for them. And it’s come up, then, for a few [??] that we’ve worked with, like for IOS integrations, things like that. And it’s really useful, you know, as kind of this social [??]. Andrew: OK. All right. I see that, actually. That is now the top item on the list. And of course, you can’t do it because Google does not want other programs to start polluting its stream with their feeds. And I understand why. Andrew: Because that’s what happened to them with their previous app. What was that app called, the previous social network? Andrew: From wherever they could, and no one read it. OK. First customer. Where were you? How did it come through? Joel: Yes, I was at home and I think I was actually doing work for other people. But I was working from home, so I was kind of … And just a [??] apartment in Birmingham in the UK and yeah, it was three days after launch. So, I launched and I emailed all these 120 people that I had the emails. And 50 people signed up on the first day. And then, it was three days after the launch. And yeah, it was a crazy feeling. I’ll never forget it. It was, like, I was jumping around the room. I was just so happy because it was completely different to any kind of money I’d made before. I knew that it was a different type of … You know, it was scalable. It was very different. It’s crazy because it was $5 in my PayPal account. It was no big deal but when … You know, and I was making several … You know, I was making quite a lot by doing the web development and the full time [??]. Yeah, that was, you know, much better than, you know, a week of wages. [??] to other people. Andrew: Yeah. I can imagine. What were your hourly rates when you were doing websites for other people? Joel: I think it was about 250 per day, so now that’s more like 400. I guess. Andrew: So, it’s just a few minutes of work but it’s a few minutes but it’s better than a few minutes of work because it’s a few bucks that you’ve earned from this new ap. Andrew: Really validating it. At what point did you quit working for other people so that you could work on this full-time? And what was the metric that made you say that I’m ready, It’s time? Joel: I was constantly figuring out what that point would be. Every time we got a few more users and a few more business, I was figuring out. Well, OK. We’ve grown so far and how long is it going to be now until that point. And, honestly, I was calculating about $1,000 a month. That would be the point when I could drop my other work. Luckily, the way that it worked out was that. So, I was working full-time and had two clients. I was doing three days for one, two days for the other. And, so, I notice that for one of those I was doing it on a part-time basis. And so I had quite a lot of freedom in a way. So, the way I did it was I actually dropped the work almost day by day. So, I would like drop one thing. So, I could basically drop one client and then have three days a week to work on and have more time for both. [??] was growing. [??] was growing and then there was just a point when I decided that. And it was kind of just before I really maybe should have, but I could see that end and it was looking quite good. So, I decided that I would drop the ends and go ahead. Andrew: That’s got to be a great feeling. Joel: Four months, after launching. Andrew: What else do I want to know about this? You know what. Let’s talk about, when did you get profitable enough? What about the first person, actually? There are all these questions that I have but I should keep it focused. You were still, at this point, a one man operation. At what point, did you bring someone else on? Joel: Yeah, so, it was. So, in the first month, I think by the end of the first month, it was a few hundred users and about ten main customers. Something like that and, basically, it was a completely different feeling to anything I’d done before, compared to one page or other things. People who signed up in the first week, there were still using it several weeks later. And they were using it every day and you know, I had an active [??] internal like I’d been flashboard. I could see people thinking content to their buffer. Things like that. So, it felt very different and, but I was still, in that first month, I was still, you know, tidying up, fixing the bug because I’d launched it so quick and it was really wasn’t much to it. There were still a lot of few things and then. By about one month after launch, I realized. OK. Now, it’s working and these people are using it and enjoying already and it’s got form and it’s good enough and I need to spend my time and actually do some marketing. So, I kind of decided that. To spend my time. I was still working full-time. So, again, I need to do some blogging now, also some marketing of some sort. And, I started to kind of find that and hopefully I got transferred to Jackson Rio who was our co- founder. And the way that worked was we’d been in touch for about a year and a half already by that time. Joel: We went to the same university. And, so we made an entrepreneurship at the university and he always had psyche of what was going on as well. And, most of the time I knew him, I was doing One Page and he was always giving me feedback on things. So, he kind of helped me out and then had his projects that he was planning to do but he was not technical. So, he was always having a struggle at points in his idea, not having built it. But he went really far when his ideas went out building anything. He went around dorms at the university and he would ask people, ‘Would you use this?’ He had a really cool idea for people that loved to cook at university and like they would cook extra and so the people that don’t like to cook they could pay, like much less, than you could pay to go to a restaurant or something. And so it was kind of like a B&B for your evening meals, I guess. Andrew: And he was able to build that without being a programmer? Joel: So, he went really far with it. That’s what really impressed me about Liam, how much he really got into this. Andrew: How’d you guys breakdown ownership of the company between you and Liam. Joel: I’ll definitely answer that but before we get to that I think it’s interesting to talk about how we got started working together. It was not a case of sitting down from day one and saying, “Let’s be co-founders.” It was really Liam seeing what I had done for a while and him being invested. He always had this problem of not being able to do anything on the technical side and that always held him back. He saw it as a real opportunity to do things on the marketing side and be involved in something where the technical side would be taken care of. I actually sat down with him, when we first talked about him helping me out, and I said to him, “What do you want out of this?” At the time, he just told me he didn’t want anything, he just wanted the experience and see what he could do. We actually agreed that he would get nothing, basically. Joel: He just did a few hours, here and there, in the evenings. It was a light start. After a few weeks, we realized that we both got along well and that we both really enjoyed it. He was getting pretty excited figuring out all the marketing things we could do. He found that he was spending a lot of his time on it. I think it was about a month and a half later, or two months later, we came to apply for Y-Combinator and we thought, “Ok, this is going OK. Let’s apply for Y-Combinator. We didn’t get in but in the form you have to say who’s your co-founder and what’s equity split. It was really interesting because I knew, well, most people know, that [??] program, they think we’re founders so I said, “It’s best if we’re co- founders.” It just made a lot of sense at that point. So, we sat down and we talked about it. The split is, so nobody will ever be having to mention this is 65/35. That was the split. It’s based on the risk element because, well, we wouldn’t be anywhere near where we are today. In terms of the risk, having this validated idea, paying customers and there was less. Andrew: Alright. You guys were on the verge of profitability. It seems like everything was in place. Why raise money? Why not just continue with things as they are and watch the revenue grow and grow and grow? Joel: I think what we realized was that we had a bottleneck with the technology. Until that point it was just me doing the whole product and Liam doing the marketing and the customer support. I was doing the design, the development, the servers, everything. There was just a lot of things that we wanted to build out but we couldn’t do fast enough and that’s when we realized that it made a lot of sense. Andrew: Why do you guys think Y-Combinator turned you down? Joel: I think our application wasn’t great. We didn’t have that great attraction back then. I think we failed given the timing of it. It seems like, to me, as time went on, the traction, like when we got into Angelpad, it was the traction that appealed to them. Joel: So, I think, by that point, the traction had grown that much higher. I think it was the kind of idea where people, even today, if I talk about the idea and I say, “Let’s apply this” and I talk about the idea without any of the numbers then everyone’s really [??] it. If I talk about it without the numbers then everyone says, “How’s it going? You just got started.” It’s really the traction that seems to get people really intrigued. Andrew: You guys are open about the numbers. You just shared your numbers here. You are open about your process. I went to your blog post in the middle of this interview, to find your first version and then the second version and so on. You’re open about so much, it seems like that’s part of your marketing, content marketing is one of the things you do exceptionally well, right? That’s where you get a large number or your users? Joel: Yeah, absolutely, so we definitely have gained a lot from doing content marketing and I’d say the first 80,000, 90,000 users came through, just by a lot of content marketing strategy and Leo has done a huge amount of that. Leo is now known for that, he speaks about that regularly, so it worked very well for us. Andrew: So break this down for me, we send earlier we talk about the funnel; top of the sales funnel is where? Where do you get strangers to consider Buffer? Joel: Let’s talk about back then, at that point, so when we were just (sp) Spitball, Angel plant I guess, pretty much most of our sign ups at that point, came through the content marketing. So these are people who would read a blog post that’s either directly about Buffer or, actually a lot of cases it’s more general, it’s about, how to do well on Twitter or social media and those are the kind of blog post that seem to work really well. Andrew: And they were just on blog.bufferapp.com? Joel: Yeah, so that was kind of… I think the way we went about it, it was like three different parts of how we did the content marketing and one was, as you say, are own blog, so blog.bufferapp.com, so that was one part of it. The second part was guest blogging, so writing articles about other blogs, in that part, is really what made a huge difference for us. So the first thing we tried, is we tried to approach people and ask them to write about us, and we quickly realized that it didn’t work to well, we had got no response or people just saying no, like that was the end. So it didn’t work to well and we also realized with our own blog, we had to stop and scratch. Andrew: You had no audience, you had no traction with the blog, okay. Joel: Exactly, we had nothing. That’s when we realized maybe we can write audibles for other people, they’ve already got the blogs and a decent size (?) regis. Andrew: Sites like (sp) darmashasonstartups.com? Joel: Exactly. Yeah. Eventually we got kind of that size, that’s like a bigger blog, but we started with really, really small blogs, just a few thousand (?) subscribers, and we gradually worked are way up. We did the smaller blogs, now once they enter a few articles of smaller blogs then you can approach slightly bigger. We worked are way up and he eventually went in for on startups also for the next, wherever Mashables and lots of other places. Andrew: Okay. So that’s where the strangers get to interact with you on some way. What I find though, is that most people don’t look at the author of a post, they look at the site, they look at the article, they look at what the articles about and maybe even click over to the site it’s referring to, but they don’t say, “Who wrote this and what company did he create and how do I go and join and pay them?” So how did you take those strangers and convert them into traffic to your site, or awareness of Buffer? Joel: Quite a few times we had links in the post, either to our own blog post, (sp) Weed, Wit, and ourselves, and then on our own blog and if we could get people there, we had huge sign up buttons in the side bar and underneath the post. These buttons were massive, so we converted a lot of people on our own blog and I think for the guest blogging, a lot of times we could actually write a post to hang over within it. Especially good was the list post, where you’d have10 tools to help you do this kind of thing and then Buffer would be one of them, we write those kind of articles by allotments, there was (?) that night. If you got 10 things, it’s much more chance that someone will come across it and they will like one or two of those things and then they’re quite likely to share the articles, so we found these, top ten kind of post do really well. Andrew: I see. Okay, and so that’s how you got people to your site. Now you have these big buttons, what is it about the wording on those buttons or the way those buttons communicate Buffers features that got people interested? Joel: I think we tried many things, we tried to think about why people would want to use are products, so we tried things like Be Awesome on Twitter. We wanted to make people feel like if they used Buffer, they would become more awesome; they would be better at Twitter. We used that kind of wording. We did some analysis on data on Buffer users during the time periods two weeks before and after they sign up. We found we get more clicks on the links they share and all these interesting data. We also used that wording as well, but it was bushier [SP] like get 200% more clicks on your links. We tried that kind of thing, but we found that Simon Sinek’s Why approach worked pretty well overall. Andrew: Simon did a great interview on Mixergy. Joel: Yes, it was fantastic. Andrew: I’m looking at one of Leo’s posts on onstartups.com. It’s called “How to Get Media Coverage For Your Start-up: A Complete Guide”. Joel: He’s got emails and everything. Andrew: Right? These are really thorough. Andrew: Essentially, his job is to market you guys by writing awesome content like this that talks up Buffer, and it even links to Buffer articles on Mashable. There’s a link here somewhere to bufferapp.com. That’s his role; that’s how you guys pay him to come in. Joel: Yes, back then that was his full-time thing. He would write two to three blog posts a day. That one is kind of an exception because it is a blog post about doing guest blogging and about getting [?]. That’s what we learned, but what he was doing day-to-day was doing something that was behind us. We had our own blog, guest-blogging, and we got press on a regular basis. This article is actually about getting press. Andrew: You’ve been talking about how you get press. I can see has an email he sent out to Mashable that got you guys coverage in Mashable. Joel: I think it’s about being very clear about what Buffer does. In the early days, everybody was informed [?]. The more precise the message could be, including what it could do, then the more likely it was that they would sign up. Also, to make it as easy as possible, we did social sign-in like Twitter sign-in. It doubled our conversion. Before, you had to use your email and password to sign up. Andrew: You doubled your conversion when you allowed people to sign-in with Twitter or Facebook instead of giving their username and password. Andrew: That is unreal. What was the conversion? Actually, what is the conversion now? Joel: I think our conversion is around 15% right now. Andrew: OK. Fifteen percent of the people that land on the page, which is essentially your home page, end up giving you their credentials and creating an account. Joel: Well, it’s different for different sources. Andrew: Oh, it’s different for different sources. Joel: That’s a really good question. We changed that. In the early days, the sign-up flow started with the landing page. From there, they would have to click pricing plans and then choose between the free option and one of the payment plans. Right now, most people don’t even know that you can pay for Buffer when they sign up. This was a big decision for us to make that change. We looked at Novos Metrics [SP] and we discovered…We changed it, so that when you sign up your only option is the free version. You can’t even start paying at sign up anymore. We did have people that would do that. It was quite a big decision to put that out. But what we found is that the people that signed up for a paid plan right away, they would be much more likely to drop off in like a month. So, the second month, they’d be much more likely not to continue on into month two. So, we changed that and now we have a much higher conversion rate overall, because people actually discover the value. The way we get people to upgrade is that they will get various different limits. So, for example, on the free version, you can have up to ten Facebook updates or ten tweets in your queue. If you’re posting five times a day, that will give you two days’ worth of content. So, you have a number of updates in the queue, and also the number of social accounts, the number of Twitter, Facebook, LinkedIn accounts that you can [add]. Andrew: Are you guys profitable? Joel: It’s a kind of minor profit. So, we raised $450,000 last year, close to the end of last year, and I think our bank balance is probably around like $400,000. So we have most of it still in the bank, and every time it gets to the 25th and I pay everyone’s salaries, by the 25th it’s normally gotten back up to about $390,000, $400,000. So it’s kind of like, I guess we’re kind of break even, but it goes up slightly each month at the moment. Andrew: You do want that if you’re building a growing business. You don’t want to earn profits that then you get taxed on. You want to grow equity that you’re not taxed on until you’re sold. Then even at that point, when you are taxed, it’s at a much lower tax rates. That’s why – people sometimes ask me why I ask about revenue and don’t ask about profit. It’s because it’s not that great an indication. If we ask you about your profits, it’ll look like you guys are really suffering, but really it’s equity that’s being built up. Your expenses, are they all people? What else do you have beyond people? Joel: People and there are other costs, but that’s not too much. I think it’s like $5,000 a month at the moment. So it’s mainly salaries, yeah. Andrew: Your salaries, what kind of people do you have on board? Joel: The team is seven and in terms of engineers, we’ve got an iOS engineer, a [??] engineer, and then, Tom, who’s the third co-founder, he’s kind of product/CTO/web engineer as well. Then we have Leo was doing a lot of marketing. Now it’s kind of BD, so a lot of the deals we do with iPhone apps and things like that, that’s Leo. Then we have Alyssa and Colin who are both doing their full-time customer support, so we take that and we [??] as well. So emails and tweets [??]. Andrew: Joel, why are you sharing all this info with me. You told me the breakdown of your people. You told me the breakdown of your revenues. You told me your funnel. Someone could be listening to us right now and saying, “I know how to do this now. I could create a simple button that spreads out tweets over a period of time. I’ll offer that for free. I’ll ask for a payment later on. I know the whole model here. I know how to talk to my customers. I don’t even have to earn $71,000 like Joel did. I just need $5,000 a month to get me going, then I’ll figure out the next thing.” So doesn’t that bother you? Joel: No. Not at all. I think there’s just so much we’ve gained, so much I’ve gained personally by being so open that I think it far outweighs any potential for that kind of thing. I think that by now it’s not just a case of building the same, the first feature we had. We have a lot more now and we have all these integrations. These are not easy to do. I think at the same time it’ll just drive us even more if people are doing things. Yeah, I think overall, I love to help other people as well. I meet several start-up founders each week and [plan] to help them with whatever [??] they’ve got. I think the more open I am, the more I can help people as well. I think overall it’s only helped me and I want to help others as well. Andrew: Content marketing is one way you promote yourself. Another very powerful way is the buffer button that I see on people’s sites. They will promote you on their sites because they put the button that says “Buffer”. People who say, “What the hell is ‘Buffer’? I know Twitter that I see the button for, Facebook I see the button for, maybe even some of the other stuff.” But Buffer, they click, they come to you and they understand what Buffer is. I see you smiling. How effective is that? Joel: It’s pretty good. We mentioned the [??] we get from it, and it’s not that many, but the branding effect was really powerful. People really know about us and one thing we realize is when we were doing the content marketing, one thing that we started to measure was how many times did people hit the landing page before they eventually actually sign up because it’s not the first time. In almost all cases it does take several times, four or five times. It really helps. The [??] helps us a lot with that. They see the Buffer [??] across the web [??]. They come across an article and they’re like, ‘I’ve seen that symbol.’ They recognize the logo and then they’ll sign up. It’s definitely [??] we’re working a lot [??]. Andrew: That happens with me too on Mixergy. I see that people go to the Premium page, MixergyPremium.com, and they’ll see something. They’ll click [??] and they’ll go, ‘I don’t know. It tells me to buy. I’m not ready yet.’ I watch them go over and watch an interview and sometimes I actually see them come back day after day for 18, 21 days, 30 days. Then, boom. Something happens and that’s when they decide to buy. It’s phenomenal that way. You keep track of all this stuff using mix [SP], panels still to this day? Joel: No. We use KISSmetrics. Andrew: I was going to ask because the founder of KISSmetrics is your investor, Heaton Shaw. Joel: We do a lot of sales as well, so we can [??]. Andrew: You build your own thing. We talked a little bit about cohort analysis. You know what your conversion rates are and the value of a customer who comes in to you from a button versus one who comes to you from your own blog posts. What else do we need to touch on on cohort analysis? Joel: The key thing is what we’ve figured out is in the first month that people sign up, we get around about 1.2% of the people, and they’ll upgrade to the pay plan in the first month that they sign up. Then over the course of four or five months that number is closer to 1.6, 1.7 percent, and it is really interesting because I think it’s important to look into that kind of data because if you only take the overall conversion, it’s very skewed by [??]. Because we have an admin area where we can look each day. It’s like, ‘What’s going on today? How many signups we had? How much [??]? How many updates did we send?’ All these numbers and in that admin area we have a section for who’s upgraded today. We can see who it is and we can also see when they signed up. The interesting thing is a lot of times we’ll see people that have been with us six months, seven months, eight months. We get people that have been with us just a few weeks as well, but we do get people that have been around a long time. Especially if you’re growing at a faster and faster pace, that overall conversion number can be lower than the conversion for the people that have been with you longer. Andrew: There’s a whole conversation I want to have about cohort analysis. Maybe we’ll do another interview. I know that there’s an investor who wanted to come on here and teach a course about it because he thinks it’s so powerful and we’re not getting it. Joel: It was the key thing for [?? ], when they [??] that made a huge difference for them. Andrew: I’ll have to come back and do this. We’re getting close to the end, so let me say this, that it’s probably not going to get you to go buy right now, MixergyPremium.com, if I say this. Not to you, Joel, but to the audience. Go check it out now because what I found, just as Joel found, is that people who check out our stuff for a couple of days, they end up coming back and very often buying. They want to see, “Can I trust Andrew? Can I trust the content here? Can I see if he’ll give me a refund if I’m not happy?” Go check out MixergyPremium.com right now. You don’t have to buy, but if you look around you’ll see that we have courses taught by real entrepreneurs who break down what they do really well and make sure that you can do it too by the end of the course. 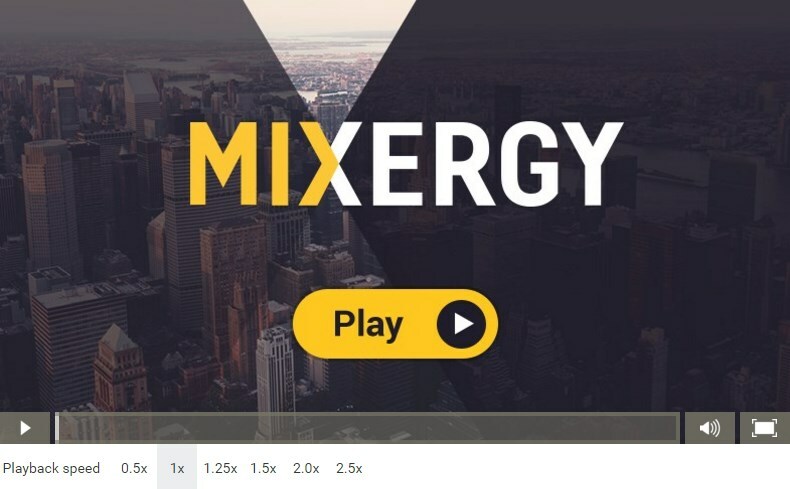 If you look at all those courses on MixergyPremium.com, my bet is that you’ll find one that’s useful to you, but my suggestion is, when you click over, think of one big problem that you’re having and then start browsing, and see if we’ve got a course that can solve that. My bet is that we will. MixergyPremium.com. Go check that out. What I didn’t talk about is that the U.S. has this policy of keeping riff raff like you out of the country. We say, ‘Smart entrepreneur’s got some traction. Get the hell out of here. What the hell are you doing here?’ That’s essentially what happened to you. You wanted to come to live in the U.S. You came across this policy that said, “We don’t want your kind here with your great ideas and your jobs and your businesses. Get out.” You started traveling and you went to Hong Kong. You went to Israel. What did you find about working outside, outside your country, outside of Silicon Valley? Andrew: How would you interact with them? Joel: Luckily, the time when we had to leave the U.S. it was the same time we closed (??). We ended up on (??) with the headline, I think it was, “(??) $400,000 gets kicked out of the U.S.” In the article we mentioned we were going to Hong Kong next. So, luckily through the article and also we had a blog post saying, “we are moving to Hong Kong.” We had a lot of people…we had a really warm welcome. Lots of people got in touch with us before. Not just picking out where should we live and all these kind of details. Then, the first couple of weeks that we were in Hong Kong, I ended up getting a talk for start-ups H.K., they have like a monthly kind of event going on. So, I spoke at this event and there was probably like 70 people there or something and so, I kind of immediately knew a lot of people in the start-up scene. It was really cool. A similar thing happened in Tel Aviv as well. Andrew: What about Tel Aviv and…did you feel that it was politicized to live in a country that’s in a part of the world that’s so politicized? Joel: When we were there we really didn’t feel any…we didn’t feel any of that. You know, it’s kind of…you can see a lot from the outside, but when we were there, it was quite recent as well, but you know, people just going about there. (??) day to day. It was no negative impact there. Andrew: All right. At this point in the interview I usually say, “Thank you” to you and I ask my audience to thank you as you know. Can I give my audience your email address? Joel: Yeah, absolutely. So, it’s me@joel.is. Andrew: And if they email you? What are you going to do when you get emails from people who say, “This guy Joel offers help (??) for entrepreneurs.” I’ll ask them for help. Don’t you get flooded with stuff like that? Andrew: I see and that way you get limited time, but you get to really be focused with them. Andrew: All right. Well, I hope you get a good reaction, good response to this interview and as always, I say, “Yeah, Grab those slots with Joel if you can”, but also find a way to just say, “thank you.” It’s such a good way to start a relationship. It’s so much better than, “Hey Joel solved all my problems overnight! Please, because you’re so much more successful!” So, I’m going to do it right now, Joel and say, “Thanks for doing this interview.” I know we had trouble getting this going because you were all over the frickin’ world while we were trying to book it, but I’m glad that we made this happen and thanks for being so open in the interview. Joel: Thanks (??) for having me (??) for being there. I had a lot of fun. I’ve watched many interviews. I know back when I was doing (??) page, I was watching the (??) interview and learning a lot, so I know it’s really cool to be on here. Andrew: Cool. Thank you. Thanks for being in the audience for so long and for doing this interview. And thank you all for being a part of it, too. Bye, guys!